We Go Above And Beyond To Partner with You! Need Spanish translator? Let Us Know! Texas Secure Title makes sure clients feel special and cared for through outstanding service that we can stand behind. Our closing team has a willingness to do whatever it takes to close on time, keeping our deadlines and more importantly, our word. 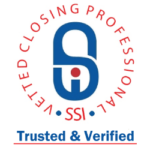 The closing process should be smooth, simple, and stress-free. Can’t come to us? Let us know and we’re happy to meet you wherever you’d like to conduct a closing. Texas Secure Title Company provides truly great service!! Being a Real Estate Professional with over 10 years of experience I've had to deal with many in the title industry, and in my opinion in terms of excellent service, they exceed. They are professionals who treat your clients and other real estate professionals exceptionally well. They have great attorneys when needed and their entire support team is top notch! Living and working here in the DFW-area I'm glad they are here!” —Jean Sullivan, RJSU Properties, Inc. I use Texas Secure Title for all types of residential real estate transactions. I have found them to be fast, accurate, and always reliable on dozens of purchases and refinances. I have had a great closing experience with all of the officers at Texas Secure, but I always request Amanda. She is very responsive and knowledgeable when I have a unique situation, and the information she shares at the closing table is a great value to my clients.” —Mike Gandy/VP, Commercial Bank of Texas N. A.